Is It Unethical to Not Hire Smokers? Finding employment is becoming increasingly difficult for smokers. Twenty-nine U.S. states have passed legislation prohibiting employers from refusing to hire job candidates because they smoke, but 21 states have no such restrictions. 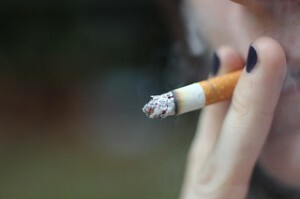 Many health care organizations, such as the Cleveland Clinic and Baylor Health Care System, and some large non–health care employers, including Scotts Miracle-Gro, Union Pacific Railroad, and Alaska Airlines, now have a policy of not hiring smokers — a practice opposed by 65% of Americans, according to a 2012 poll by Harris International. Where do the authors come down? We agree with those polled, believing that categorically refusing to hire smokers is unethical: it results in a failure to care for people, places an additional burden on already-disadvantaged populations, and preempts interventions that more effectively promote smoking cessation. In addition, all other diseases — and many healthful behaviors — also result in additional health care costs. People with cancer burden their fellow workers through higher health care costs and absenteeism. People who engage in risky sports may have accidents or experience trauma routinely and burden coworkers with additional costs. Having babies increases premiums for fellow employees who have none. Many of these costs result from seemingly innocent, everyday lifestyle choices; some choices, such as those regarding diet and exercise, may affect cancer incidence as well as rates of diabetes and heart disease. Finally, although less than one fifth of Americans currently smoke, rates of tobacco use vary markedly among sociodemographic groups, with higher rates in poorer and less-educated populations. Some 42% of American Indian or Alaska Native adults smoke, but only 8% of Asian women do. Among adults with less than a high school education, 32% are smokers; among college graduates, smoking rates are just over 13%. More than 36% of Americans living below the federal poverty line are smokers, as compared with 22.5% of those with incomes above that level. Crucially, policies against hiring smokers result in a “double whammy” for many unemployed people, among whom smoking rates are nearly 45% (as compared with 28% among Americans with full-time employment). These policies therefore disproportionately and unfairly affect groups that are already burdened by high unemployment rates, poor job prospects, and job insecurity. and I didn’t speak out because I wasn’t fat. and I didn’t speak out because I wasn’t a woman. The word for it when the government does it is fascism. In the business world is just plain [Machiavellianism]. You may get away with it, but don’t disguise it as a stimulus. It stinks worse than tobacco, and it sends the wrong message: that you can bully other people with impunity just because YOU can. Forget the health care costs (which are very real). Lets just focus on what smoking tells an employer. Smoking is horrible for you. We all know it. So smoking signals to an employer that you don't make good choices in the face of overwhelming evidence. No offense to smokers, but that's not the sort of person I want to hire. Being unhealthy is not a complete argument against something. There's clearly some degree of unhealthiness and unsafeness that virtually everyone will accept in exchange for enjoyment or fulfillment; see, for example, dessert, sports, and pregnancy. The difference is in probabilities and proportions. That someone else weighs harm and fun differently from you, in general or a specific case, doesn't make their decisions invalid. More importantly, their decisions shouldn't be subject to your review as an employer at all. Employees' lives outside of work are their own. I'm an almost-graduated law student hunting for jobs. I interviewed with a small firm last week, and in one part of the interview, the partner asked me several inappropriate questions like my age, marital status, etc. He asked if I was on any prescription drugs, and if I smoked. I answered the questions, but told him they were very inappropriate for an interview, and they sounded discriminatory. Whether I smoke (and all the other discriminatory questions) is irrelevant to my ability to practice law effectively. There may be some professions where smoking is a relevant and appropriate discrimination, but I can't think of any. Oh, and I don't smoke. Did you ever think that clients may be turned off by someone who smells like a humidor?
" it results in a failure to care for people, places an additional burden on already-disadvantaged populations, and preempts interventions that more effectively promote smoking cessation." How is any of that the responsibility of a business? I like Eric W's comment. It shows poor decision making. Ultimately companies can make decisions they feel are in their best interests (within the law). If they are losing out on good employees because of this policy they will change their practices. But I doubt that's the case. I'm more concerned with the employer imagining that it's their business whether employees smoke or not. Applications are intrusive enough as it is. Employment contracts shouldn't be a license to pry into private affairs. Fine, but let's see how many smokers can show up to work not reeking of smoke and then make it all the way from 8 to 5 without ever lighting up, every single day. If you can really do that, no one will even know much less care, but the fact is that most smokers bring their smoking into the workplace. I'm surprised they don't mention smoke breaks. Does the average smoker work as much of the 40 hour week compared to a non-smoker? Instead of going after smokers, why don't employeers go after the health care industry? Health care costs are high because of fraudulent behavior on the part of the health care industry, not because of risky patient behavior. For instance. I had a sleep study that was quoted to me at $1700. Although I had no extraordinary procedures or problems, the clinic charged my insurance company $4200+. Then when I called to complain, they told me they would never charge me more then I was quoted. So they wiped the $2000 my insurance company slated as patient responsibility. But they kept the other $2200 ($500 more then they quoted me) they got from the insurance company. And now they're trying to pin it on us so they can keep their greed driven fraud going? Bull crap! I never though I'd say this, but socialism is beginning to look a hell of a lot more attractive then out of control selfishness and greed. Would you hire a crackhead or a junkie? Well, smokers are junkies. They waste YOUR time and money on their addiction. Maybe they otta stop hiring caffeine addicts as well. The line between permissible and impermissible discrimination lays with the role of personal choice. Some things like race, gender, sexual preference, nationality and a large number of healthcare issues, are determined by birth and should not be basis for discrimination in areas like employment. However things like smoking, drug use, alcohol use, weight and other lifestyle choices are exactly that....CHOICES and people need to be held responsible for their choices. Yes some actions are addictive and can reduce the role of choice, however nobody forced someone to start smoking or using addictive drugs and addiction may be hard to break, but it isn't impossible. On a more practical node in the case of smoking, which is simply a subset of drug use, if someone cannot overcome their addiction in order to stop smoking how can they be relied on to overcome their addiction enough to adhere to company policies on smoking like not smoking on the job? In that case the person is no longer a threat to themselves, but now could bring their personal problems into the workplace. Spot the fascists^^ If smokers are such a burden maybe w should just gas them all?? It's unethical for publicly funded workplaces to discriminate against people for damn near anything. But private businesses should be able to hire/fire or accept people as customers based on whatever the owner feels like. This often isn't the most rational thing to do, and people can certainly protest you and that'll also hurt your business, but part of being the owner is being able to make your own decisions. My property is my own to use or misuse. 1. It's not unethical; smokers are drug addicts, and that addiction will inevitably come before their job at some point(s). 2. It's nothing new. I've been with my employer 25 years. At least in my specific job category, in that time I have never come across or heard of a new hire who smoked. I should note that in my business, smoking is an issue because of situations in which smoking violates the law, and we can go for extended periods of time (as much as 16-18 hours) during which it's not physically possible for a smoker to move to an area where it is legal. I know some extremely senior people who smoke (and are able to avoid the situations I described above), but the unstated policy for at least 2+ decades has been no smokers. 3. While there are risks in the activities listed in the third "snippet", there's a difference between an activity that involves some risk and an activity that is effectively certain to cause health problems. 4. While the ADA prohibits discrimination on the basis of disability or (AFAIK) health conditions in general, it does permit an employer to require a pre-employment physical and/or drug testing. I'm pretty sure the latter can identify a smoker, and positive the former can. I recently came across this same question when my parents, owners of a small mom & pop restaurant, were looking to hire a waiter/waitress. First concern for them was that he/she not smoke. My instinct was to tell them that they could not outwardly discriminate like that, but I can't say I don't agree with their thought. In addition to the general "bad decision making" comments listed above, their concerns were that a smoker will inevitably smell like smoke when serving customers, will request multiple breaks to smoke (above that required by law), and the general health issues that could affect their working ability or presentation to the guest. When workplaces went non-smoking in many areas in the early '90s, I thought that was great, but we then didn't turn around and fire smokers (or fat people like me, or motorcycle riders or gun owners or...) for their bad habits. Many people who have bad habits are still good employees. I think not hiring people because they smoke is insane. « Previous PostCould Accelerated Learning Mean Big Bucks?